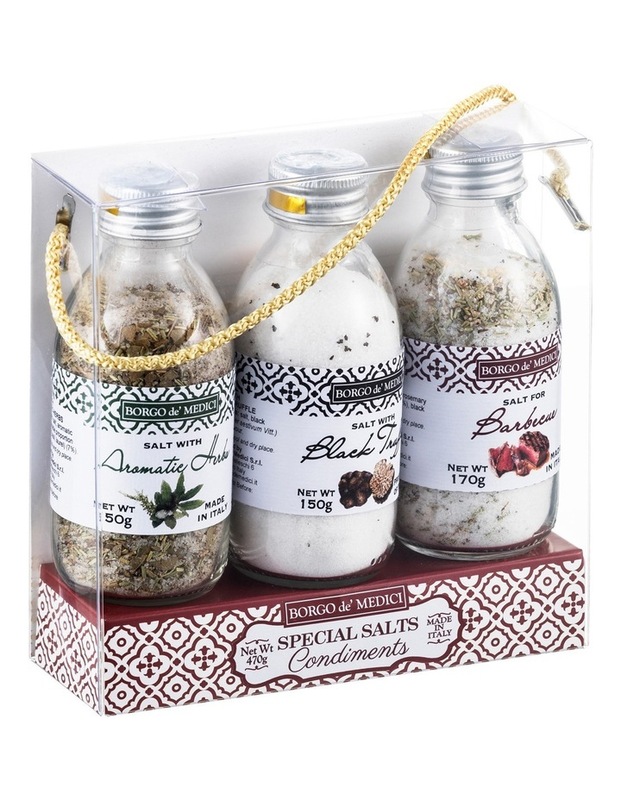 A special salts set, one of the best gift ideas for special salts lovers and for all those ones whod like to taste a real Italian sensation. An irreplaceable set for turning every simple recipe into a unique dish. Salt with black truffle is the special twist for scrumbled eggs, for pop corns, or french fries. Salt with tuscan herbs, the scent of tuscany ready to be used on your dishes: oven baked white meat, fish and potatoes, it will enanche their flavour at best. 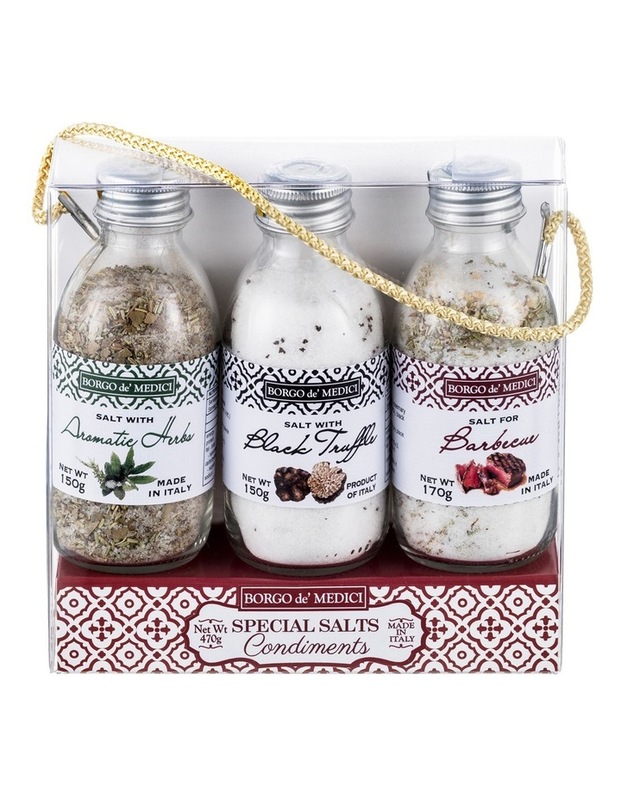 Salt with mixed spices for barbecue will be your must have product for grilled meat. Garlic, rosemary and black pepper marry perfectly with beef meat and steaks.